Beautiful! Loving the simple flowers! I love the washed out patel colours in the brown glass, looks brilliant! oo those are gorgeous! the soft pink and the brown glass are perfect together! just stunning! I will let my friends Vanessa & Chris know of these fab suppers so they can hopefully participate! dying to see more pics..looks gorgeous. It would be really wonderful if you could credit the tableware pieces so we can try and source them for ourselves. 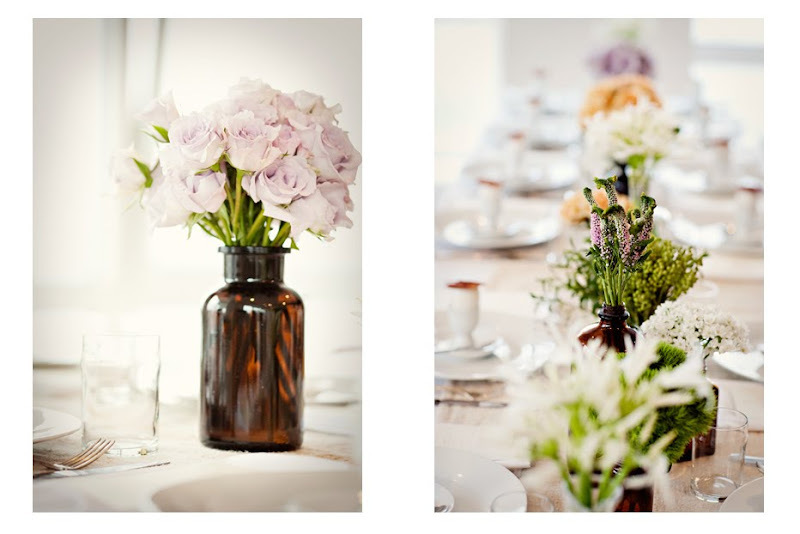 I LOVE the glassware and vases you've used on this table. Oh I can't wait to see more of these flowers! Where did they get those awesome brown glass vases?